If you are looking for a smooth and soulful acoustic duo of the highest standard then Phoebe & Jan could be the answer.... 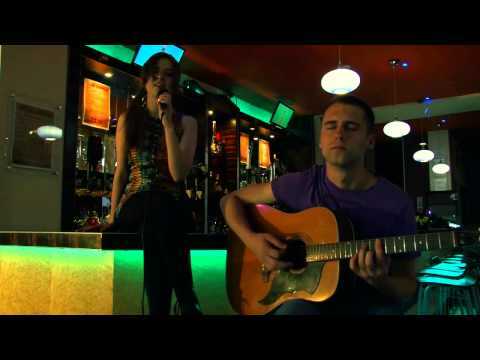 This London based duo are ideal for an evening reception or daytime wedding music. Performing a range songs from popular hits to dreamy, jazzy bossa-novas, this duo excells in providing the right mode of music and atmosphere for your special event. Perfect for weddings, intimate gatherings, as a precursor to or during a corporate dinner, this is a versatile band with simply outstanding musicians. They have provided entertainment for many satisfied customers over the years. One glance at their testimonials page here will show you exactly why. If you require the finest in smooth vocals and expert guitar accompaniment then enquire now for a direct price and more information. Sorry, Phoebe & Jan doesn't have any photos right now Send us an enquiry and we'll get back to you, or check out the rest of the act profile. Sorry, we don't have a setlist for Phoebe & Jan yet Send us an enquiry and we'll get back to you, or check out the rest of the act profile. 'Just wanted to say a big thank you to Jan and Phoebe for giving a great performance. 'They have performed at our venue many times now and they don?t disappoint. 'Couldn?t have asked for anything more. 'Phoebe and Jan have performed for us here at The Good Ship a few weeks ago.